Here’s what I do: I try stuff on my kids, and when they can generalize it to unique situations, I keep that strategy. I’m usually pretty immune to this sort of thing. I don’t want to dazzle my students with math. I want them to engage with math and sometimes the spectacle just intimidates them or makes math seem all the more foreign and unknowable. Other times the spectacle is simply too spectacular not to share. Fresh off our success decoding airline flight tables, I promised them we were going to crack the secrets of grocery stores wide open but to do so we’d need a lot of data. If we each sampled three data points, that’d suffice. I gave them the weekend. I gave them a week’s worth of homework credit. I let them work with a partner. For perspective, I have one really exceptional outlier out of the thirty-six transactions I recorded: the person who took six minutes to purchase twenty items. It was a disastrous exchange featuring a price check and a ripped register tape. It was so bad that people happily fled that customer’s line for longer ones. 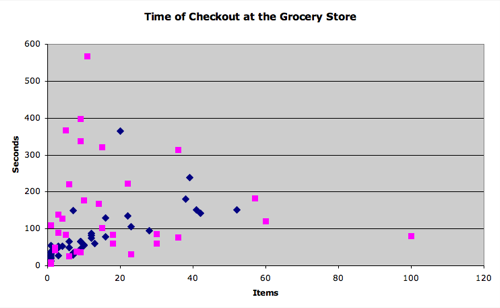 Out of my students’ thirty-two data points, they observed six transactions that were even more abnormal than that one, including one incredible checker who managed to ring up one hundred items in just eighty-one seconds. Exactly one hundred items, right? 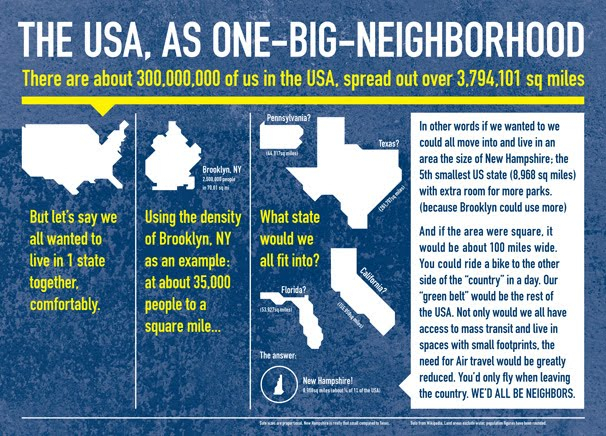 Turn this infographic by Sean Kearney into an opportunity for critical thinking, data analysis, and mathematical computation for your students. EC: Extend the activity to the population of Earth. My immediate thought when I first watched the video was to recreate the scenario in my own room which has a drop ceiling. Once the students are set on their solution, we move the tile and find a bag of chocolates shaped like golden bars for the class to enjoy.